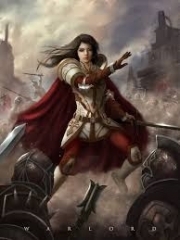 You’re reading novel Chaotic Sword God Chapter 1793 online at LightNovelFree.com. Please use the follow button to get notification about the latest chapter next time when you visit LightNovelFree.com. Use F11 button to read novel in full-screen(PC only). Drop by anytime you want to read free – fast – latest novel. It’s great if you could leave a comment, share your opinion about the new chapters, new novel with others on the internet. We’ll do our best to bring you the finest, latest novel everyday. Enjoy! Ancestor Yan's full name was Wayner Yan. His talent was extraordinary, and he was the most outstanding clansmen ever since the Wayner clan was founded. In just thirty thousand years, he had reached early G.o.d, becoming the fifth ancestor of the Wayner clan at such a young age. Afterwards, he spent five thousand more years to go from early G.o.d to mid G.o.d. Even with the entire Divine Kingdom of Pingtian in perspective, there was barely anyone who could match up to his talent and cultivation speed. The Wayner clan, on the other hand, held very high hopes for Wayner Yan. After breaking through to mid G.o.d, Wayner Yan went travelling all by himself and had just returned today. "Great-grandfather Cong, great-grandfather Xuanguang, how come I don't see great-grandfather Sen and great-grandfather Ti?" Wayner Yan smiled with a sense of closeness. The great-grandfather Sen and great-grandfather Ti he was referring to were naturally the two mid G.o.ds of the Wayner clan, Wayner Sen and Wayner Ti. Wayner Yan was also an ancestor of the Wayner clan now, making his status equal to the other G.o.ds. However, due to his age, he always referred to the other ancestors of the Wayner clan as great-grandfathers. Wayner Cong and Wayner Xuanguan became gloomy when they heard the question. They said, "Xiao Yan, just too many things have happened in the Dong'an province recently. Your great-grandfathers Sen and Ti have already fallen." "What! Great-grandfather Sen and great-grandfather Ti are already dead…" Wayner Yan's face changed suddenly, and his smile disappeared. It was converted into grief. Afterwards, Wayner Cong and Wayner Xuanguang explained everything that had happened in the recent years to him, including the opening of G.o.dking Duanmu's dwelling and the battle with Jian Chen outside. They hid nothing. "Xiao Yan. Both your grandfather Sen and grandfather Ti died in G.o.dking Duanmu's dwelling. They lost their lives to the killing formations cast down by G.o.dking Duanmu. However, we find it very fortunate now; fortunately, you weren't in the Dong'an province when the dwelling had opened. Otherwise, you would have probably been doomed as well. "Just too many G.o.ds died in G.o.dking Duanmu's dwelling. Let alone G.o.ds, even quite a few OverG.o.ds died. There were even late OverG.o.ds among them. Sigh…"
Wayner Cong and Wayner Xuanguan said slowly. When they mentioned the dwelling of G.o.dking Duanmu now, they were no longer enthusiastic. There was only indifference and melancholy. "Great-grandfather Sen, great-grandfather Ti, how did you just go like that? You didn't even see me unite the entire Dong'an province beneath me. You didn't even see the day when our Wayner clan would become the greatest clan in the Dong'an province," Wayner Yan murmured to himself. He was extremely grief-stricken. The eyes of Wayner Cong and Wayner Xuanguang immediately narrowed when they heard Wayner Yan's words. They looked at Wayner Yan with br.i.m.m.i.n.g interest as disbelief flooded their faces. At the same time, there was eagerness and excitement. Even the Huo family, the Dong family, or the Nanyun clan did not dare to say the bold and lofty words of uniting the entire province and becoming the greatest clan in the province because late G.o.ds were not enough to rule over an entire provincial city. Although late G.o.ds were peak experts in the Dong'an province, there were many other G.o.ds in other clans as well. Early and mid G.o.ds were not the opponents of late G.o.ds in single combat, but they could deal with late G.o.ds if they worked together. A late G.o.d would be unable to reign supreme within a provincial city. If a late G.o.d tried to do that, the other clans would definitely band together to suppress the late G.o.d. Even late G.o.ds would die when they became completely outnumbered by experts of a similar level. As a result, for a clan to dominate an entire provincial city in the Divine Kingdom of Pingtian and many of the other divine kingdoms in the surroundings, they would need an OverG.o.d. Only OverG.o.ds could reign supreme in a provincial city! "Xiao Yan, what's your current cultivation?" Wayner Cong asked. His voice trembled slightly. Suddenly, Wayner Yan emitted a tremendous presence. The presence was so powerful that it had completely exceeded late G.o.d, reaching a whole new level. Wayner Cong and Wayner Xuanguan were greatly shocked when they sensed the chillingly powerful presence. Surprise flooded their faces, along with uncontainable excitement. "OverG.o.d. Xiao Yan, you've actually become an OverG.o.d." Jian Chen currently sat a meter above the ground in the forbidden grounds of the Tian Yuan clan as he guarded over the people who were breaking through. The moment Wayner Yan gave off his OverG.o.d presence, Jian Chen slowly opened his eyes and gazed in the direction of the Wayner clan. Wayner Yan's presence had only filled the hall of the Wayner clan and had not extended beyond that. As such, even many of the elders in the Wayner clan had failed to sense it. However, it was not enough to hide from Jian Chen's senses. "An OverG.o.d has actually appeared in the provincial city," Jian Chen murmured softly, and a light flickered through his eyes. However, at this moment, the presence of a breakthrough suddenly appeared in the forbidden grounds. The people from the Tian Yuan Continent had finally stepped into G.o.dhood. "It's Mu'er. Mu'er has actually broken through before the white tiger." Jian Chen stood on the ground now. He looked towards where Shangguan Mu'er cultivated as he smiled faintly. Two hours into Shangguan Mu'er's breakthrough, another presence appeared. Vaguely, it was filled with a presence of slaughter, making the surrounding temperature drop slightly. 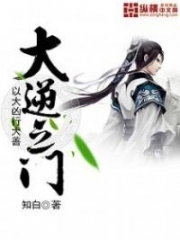 "The white tiger has broken through as well," Jian Chen smiled even wider. To him, being able to personally witness them reach G.o.dhood was an extremely happy matter. Soon after Shangguan Mu'er and the white tiger began their breakthrough, the others broke through as well, successfully reaching G.o.dhood. However, the third one to break through was the Seven-colored Heaven-devouring Beast, which had remained the size of a fist the whole time, never taking a human form. Houston was the fourth person to break through among everyone. Afterwards, Xiao Jin, Xiao Ling, Rui Jin, Hong Lian, Hei Yu, Nubis, as well as Xiong Zhong, Cheng Jingyun, and so on from the World of Forsaken Saints followed. Originally, it was impossible for a few of them to reach G.o.dhood so quickly, but due to the droplet of liquid lime from Jian Chen that was enough for even OverG.o.ds to lay their lives down for, they had all comprehended the laws of the world much earlier and formally reached G.o.dhood. The simultaneous breakthrough of over a dozen people naturally caused quite the disturbance. However, since formations protected the forbidden grounds, no outsider learnt about their breakthroughs. 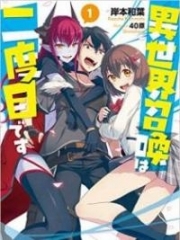 You're reading novel Chaotic Sword God Chapter 1793 online at LightNovelFree.com. You can use the follow function to bookmark your favorite novel ( Only for registered users ). If you find any errors ( broken links, can't load photos, etc.. ), Please let us know so we can fix it as soon as possible. And when you start a conversation or debate about a certain topic with other people, please do not offend them just because you don't like their opinions. You're reading Chaotic Sword God Chapter 1793. This novel has been translated by Updating. 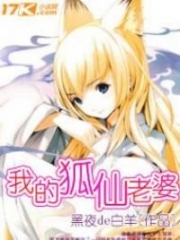 Author: Xin Xing Xiao Yao already has 1333 views. 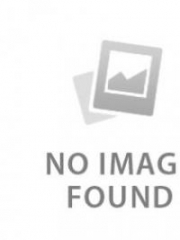 Current Time is Apr-18-2019 16:35:39 PM.